Before you ever start looking at homes, I highly recommend that you are prequalified with at least one lender. Be completely honest with the lender about your financial situation, and always ask for a "Loan Estimate". This shows the estimated costs and expenses that the lender will charge you, and it shows the loan amount that you are likely to qualify for. You may also want to ask for a "Prequalification Letter" from your lender. At some point, your dreams must meet reality. My goal is to help you find the best dream home that you can afford. If you have been prequalified, it also gives you much greater negotiating power when you are ready to make an offer. A seller is much more likely to accept an offer when they know the buyer is ready, willing, and able to purchase their home. I have several lenders that I can recommend, and I can also give you some important information about the current mortgage rates and loan programs. There are many reasons to use a Realtor during the home buying process. 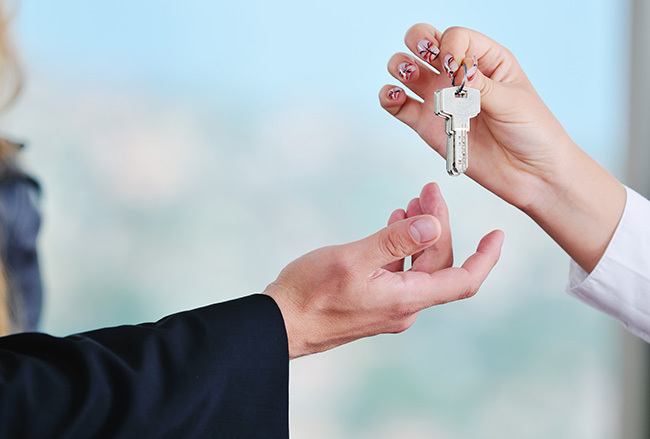 Real estate transactions involve one of the biggest financial investments of most people’s lifetime. A typical real estate transaction is usually several hundred thousand dollars. If you had a $250,000 income tax problem, would you attempt to deal with it without the help of a certified professional accountant? If you had a $250,000 legal question, would you deal with it without the help of an attorney? Considering the small upside cost and the large downside risk, it is simply a wise decision to work with a "professional REALTOR®" when you are buying a home. In most cases, the seller (not the buyer) pays the commission, and having a professional Realtor on your side can help you negotiate a better price and terms and help you avoid costly mistakes. Every transaction is different, and the ultimate value of a home is determined by what the seller is willing to accept and what the buyer is willing to pay. You don't want to pay too much, but if you don't pay what the market demands, someone else will and you may lose out to another buyer. Before you make an offer (or even start looking at homes) it's a good idea to review market trends and recent sales history for the areas that you are interested in. Ask your agent to give you a list of recent sales that match your general search criteria. Pay close attention to the average "price per sq. ft." (including the lot), and the total days on market. Knowing whether you are in a "buyer's market" or a "seller's market" will be important when it comes time to make an offer. Before you start looking at homes, you should decide what areas (cities, general areas, subdivisions, etc.) that you are most interested in. You may want to consider income levels, crime rates, property appreciation/depreciation rates, foreclosures, school districts, and nearby amenities such as shopping, parks, gas stations, etc. Once you find an area that you like, you may want to find a safe way to meet some of the people that live there. Attending school or church functions or neighborhood activities are just a few of the ways you can learn about the area. Make sure you ask people that live in the area how they like it, what they like most, and what they dislike about the area. One factor to always consider is the "resale value" of your home. Try to find an area that has good historical values and one that you think will not deteriorate or depreciate in the future. One of the biggest factors that can effect values are zoning issues. If a mall goes in a few blocks down that may make your location more attractive. If a garbage dump or train track comes in, it could make your area less desireable. Always review the "City Zoning" and the "Subdivision C&R's" (restrictive covenants) before you buy in any neighborhood. Before you start looking at properties, make sure you know: what you're looking for, what you can afford, and what your timeline is for moving, financing, etc. If you follow the tips above before you start previewing homes, you will be confident and better prepared to start your search for the right home. The best place to start your search is on the Internet, and by driving around. You can search the MLS for all available homes listed with participating MLS members from this site. Once you have a short list of homes you'd like to see, meet with your agent to discuss and review these homes. Your agent ay have additional information, photos, virtual tours, etc. that will save you time. Then, after you have limited your search to a reasonable number, you are ready to start previewing homes. After touring two or three properties, it can be very difficult to keep them all straight and to remember what you did or did not like. I suggest keeping a one page brochure or printout for each home, and making a like/disllike list on the back of each one. Then give it a rating from 1-10 with 10 being the perfect home! After you have looked at several homes, you can limit your search down to the 2 or 3 that you are most interested in. You may want to go back and preview those homes again to compare them with each other. Once you find the right home, act decisively and quickly to make an offer that is right for you and attractive to the seller. Before you begin the home buying process, resolve to act promptly when you find the right house. Every Realtor has stories to tell about a couple who looked far and wide for the perfect home, finally found it, and then said, "We'd just like to sleep on it, then we'll make an offer tomorrow." Many times the story has a sad ending - someone else came in that evening with an offer that was accepted. You can always make an offer with a clause that gives you time to sleep on it. This way, you can back out if you need to, but you don't lose the perfect home by hesitating. Resolve that you will act decisively when you find the house that’s clearly right for you. This is particularly important after a long search or if the house is newly listed and/or underpriced.